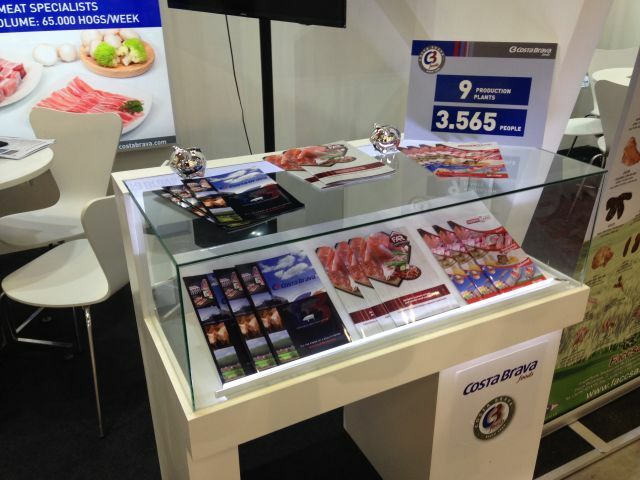 Grup Cañigueral, through the Costa Brava Foods team, has participated in the FOOD & HOTEL fair in Vietnam from May 25th to 27th in Saigon. It is the great foodshow of the country, one of the most potential in Southeast Asia and in which the sector has high expectations for the next five years. More than 10,000 squared meters of stands, 520 exhibitors from 36 countries and a very large professional audience (importers and manufacturers of this geographical area) give an idea of the volume of business and expectation of the event. Grup Cañigueral introduced its ranges of pork, marinated meats and cured sausages, as well as the capacity and quality standards of its facilities, which already serve many countries in the area. Grup Cañigueral works through its specialized companies: Frigorifics Costa Brava, FAR Ham Serrano, Coopecarn and Embutidos Monter.